Each year the gospel passage for this Sunday is a story of Mary’s pregnancy, and for this year it is the visitation. We meditate on this story as the second joyful mystery of the rosary, so that this could be an opportunity to go into it deeper than we usually can in saying the rosary, and this would give depth to the way we say that prayer which plays an important part in the lives of many people. It is the story of two pregnant women and, therefore, an opportunity to enter into the symbolism of that experience, especially for those who have gone through it, seeing it as a symbol of how waiting can be a creative time, one when we express our love and one also when we can unmask all the self-centredness that is latent within us and blocks our ability to give ourselves wholeheartedly to others. Of course, it could also be a meditation on the sacredness of pregnancy itself. Mary should be the main focus of our attention, symbol at this moment of her life of the person of faith, and indeed of the church. Particularly significant is the expression “blessed” that is attributed to her by Elizabeth; we must give the word its full biblical meaning, indicating that a person has a great gift from God and also that he or she has brought blessings to others. Mary’s blessedness in this passage is simply that she has faith, no great achievements or visible signs of God’s favour – just faith. * we would play our part in making our country a more human and caring place. so that people looking at us would think that we would never change. someone who also had a dream within her and so understood us. like John the Baptist leaping for joy in the womb of Elizabeth. and we and the world would be different. but one who was giving birth to the presence of God. A deep feeling of humility came over us; we felt blessed and filled with the Holy Spirit. Lord, we think today of some girl who is pregnant and regrets this pregnancy. or finds that the child will block her career. and she will feel blessed and filled with your Holy Spirit. to whom we turn as personal friends. But all that can make us arrogant. they will rejoice in their gifts and in ours too. – when we pass an examination, get a promotion or overcome some bad habit. that the promises you make us will be fulfilled. Great and wonderful things are born from that kind of blessedness. and in spite of great odds have managed their homes with dignity. and that these would be vindicated. and many great people have been born as the fruit of their wombs. Christmas is upon us: yet are we ready? Christmas we are told is a time for fun, a time for peace, and time for rejoicing. Yet for many of us it is a time of stress and extra work to get done every­thing that needs to be done. A time when we are fearful that the children won’t be disappointed or that there won’t be tension in relationships or there won’t be a breakdown in the ceasefire with the in-laws. And on top of all this there is a feeling of guilt for feeling like this when we should be rejoicing. So we can look on our meal this morning as time-out from all this stress. Jesus comes to us because he loves us, not because we have worked to bring him here or are ready for him. He comes among us now and offers us rest and forgiveness and peace. He invites us to share his table, the table he has prepared for us, and to rejoice and relax at that table, for it is the table of his love. 1. It is often hard to preach on this Sunday as it can be so close to the festival that one can sense the distraction in the minds of people: there are other things happening and we are all in a bit of a rush. So one needs a relatively snappy but staccato way to break into people’s imaginations and overcome their distractions. in the manner these prophetic texts have been used in the liturgy since, at least, the time of Matthew’s preaching. 3. What do we want to recall about Jesus the Christ as we move closer to Christmas? 4. ‘But you, O Bethlehem Ephrathah, who are little to be among the clans of Judah, from you shall come forth for me one who is to be ruler in Israel, whose origin is from of old, from an­cient days’ (Mic 5:2). The Son of God, the Word through whom all things were made, visible and invisible, has been born in a tiny village in Palestine. We are spoken to by one who is a human being with us, who has been born a human being for our sake: for us and our salvation he came down from heaven. Jesus is the ruler in Israel, the fulfillment of the promises that God would deliver his people from slavery. Jesus is our ruler and leader, and the king who will come again to judge the living and the dead. 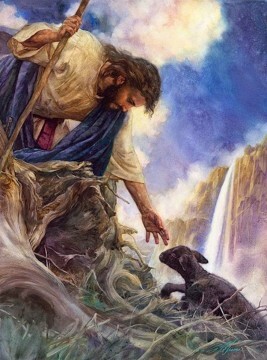 5 ‘And he shall stand and feed his flock in the strength of the Lord, in the majesty of the name of the Lord his God. And they shall dwell secure, for now he shall be great to the ends of the earth’ (Mic 5:4). Jesus gathers up all who are scattered and wandering lost on the hillsides. Jesus rejoices when those who are lost are found: there is more rejoicing in heaven when one sinner repents than over ninety nine others who have no need of repentance. Jesus is the one who feeds his people: we are gathered at his table to share in his banquet. 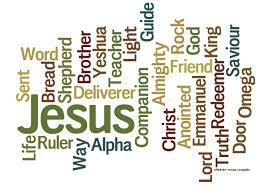 Jesus reveals the majesty of the Father to us and he glorifies the Father’s name. Jesus’s kingdom has no end, and we are charged to bring his gospel to the very ends of the earth. We prepare for the nativity of Jesus, but the most important nativity is his birth in our lives when we take him as our priest, our prophet, and our king. Unless he is born within us, in our world, then our celebration of his birth in Bethlehem long ago is an empty sham. scrip­tures, God has sought out people with humility and courage to hear and respond to his word and through them his saving will has been made known. In this young woman from Nazareth the human response to God finds its perfect model. Luke presents Mary as the woman of faith and he gives more prominence to her than the other evangelists. By her openness to the Spirit of God she opens the way for God to come into the world and that is the way Luke presents discipleship. God will be at work in the world wherever the followers of Jesus leave themselves open to the work of his Spirit in an attitude of faith. It’s a little ironic that David should have imagined that he could do something for God. It seems that his success as king went to his head and he forgot his humble origins as a shepherd boy. In the gospel for today we see an Israelite who is fully aware of who she is before her, God and it is this humility which allows her to say “yes’. The promise made to David in the grandeur of his palace centuries before would now be fulfilled because an ordinary girl in ordinary surroundings has an extraordinary openness to her God. There is very little splendour and majesty in the Christmas story; it is characterised by simplicity and hum­ility and these are the gifts we need to appreciate the power of its message. Let’s pray for them with faith and fervour. One of Mary’s first recorded journeys was after the announcement to her that she was to be the mother of God. It was a journey of service, a visit to her cousin who needed help. When dealing with such challenges as pregnancy bereavement redundancy a son in prison or a daughter on drugs – we want to talk and we want support. Mary and Elizabeth had something else to share – their faith. The prayers they said have been said ever since. The stage was small but the audience has been millions ever since. They were not shy about their faith in their God. In a time like ours we need to externalise our faith – to go to Church, send a card with a Christmas greeting, not just a season’s wish – not to parade, but to make present our faith. The meaning this week is – Jesus is born, and we celebrate that together, with thanks, music, socialising, prayer and Mass. We need to find God again, and let ourselves be open to him in the deepest areas of life, just like the husbands of both these women, Joseph and Zechariah, as well as their wives, were open to God. Nothing need keep us from God or from the crib at Christmas. All are welcome. The real meaning of Christmas is to meet with God and to help our neighbour. Come Lord Jesus and bring joy and laughter among us. Come with , the music of eternity and the songs of the earth. Come among us and make us truly grateful for your birth and your love. The readings for the Fourth Sunday of Advent each year shift the focus from Advent’s call to preparation for the Messiah to setting the stage for the Christmas event. In today’s Gospel, Elizabeth proclaims her joy-filled faith in God’s promise of salvation that will be accomplished through Mary’s child and praises her young cousin for her “yes” to God's plan. In Jesus’ birth, God has directly intervened in human history, sanctifying humanity and transforming all humanity in his love. God’s Spirit, who inspired the prophets to preach, who enabled the nation of Israel to enter into the covenant with Yahweh, continues at work in the world in new and creative ways. Jesus Christ is the ultimate and perfect fulfillment of that covenant. Like the travelers who pass through Bethlehem, we fail to see God in our everyday world. Hope and grace can often be found in hidden and quiet places. Every Monday morning for 16 weeks they leave their house before dawn for their 8 A.M. appointment at the hospital. For the four hours that her 12-year-old daughter undergoes chemotherapy, Mom will be right there. During those mornings together, they will read, play games, watch videos, talk. Their Monday mornings are anxious times — but precious. For this mother and daughter, the Spirit of Mary’s Child is with them. Every Tuesday afternoon, after a full day of her own classes, Kristen, a high school senior, heads to the community center. For two hours, she tutors kids from city grammar schools in the mysteries of math and the secrets of English grammar and vocabulary. In Kristen’s patient explanations and words of encouragement, God’s compassion is revealed to kids at risk. It is the first time the brothers have spoken in years. They’ve been estranged over a family matter, the details of which are long forgotten but the hurt and mistrust linger. But for the good of the family, they seek to repair their broken relationship. In every awkward word exchanged, in every attempt to move on, in every admission of hurt and anger between the two brothers, God is reborn. In today’s Gospel, Mary travels “in haste” to be with her cousin Elizabeth. Luke never says exactly why she goes, but we can guess: Mary wants to be with her beloved cousin in the last months of what must have been a very difficult pregnancy, but also to seek the elder Elizabeth’s counsel and support during her own struggle to understand what is happening. In Mary and Elizabeth’s visit and in our own similar “visitations” the Spirit of God is present in the healing, comfort and support we can extend to one another in such moments. In the stirring of the infant in Elizabeth’s womb, God calls to humanity in every time and place: I am with you every step of the way. I am with you in every storm. I am with you when the night seems unending. In Mary’s Child, the inexplicable love of God becomes real to us, the peace and justice of God become possible. The big celebration begins, a festival of light and love, of joy and laughter, of family and community and world. Light is mentioned almost twenty times in the course of today's liturgy. On one of the darkest days of the year, light explodes all around us. The sun is sneaking back, just as Jesus kind of sneaked into the world in the quiet of Bethlehem. For us in the Northern Hemisphere, Christmas is a midwinter feast, a time when the days grow a little longer and light and warmth return slowly. For those who live in the Southern Hemisphere, however, it is the beginning of summer. School is over. It is a time for vacation (or as they would call it "holidays"), for rest and relaxation. It marks not the shortest day of the year but the longest, the day of the most light and on the average the most warmth. Christmas fits in everywhere. Once upon a time there were two kids who were fed up with Christmas. They began an anti-Christmas campaign among their friends. Look, they said, everyone is tense and worn out, moms are tired from cooking, dads from putting up trees and decorations, kids from wrapping presents, neighbours from all the noise and bustle. We open the presents and they're not really what we wanted, though we thought we did. The house is littered with torn wrapping paper, expensive ornaments get knocked off the trees, the little kids go out of control, big kids sulk, mass is too long, the sermons are boring, the music is yucky. We eat too much . . .Who needs it all. So what should we do asked their friends. Strike! Said the two trouble-makers who were, if truth be told, Anarchists of a sort. Refuse to participate. Don't buy any Christmas presents, don't ask for any, refuse those that are given to you, don't decorate the tree, don't eat the pumpkin pie, don't drink the eggnog, don't say merry Christmas to anyone. A few of their friends thought they were crazy. The others thought it was a great idea. It is said that Henry David Thoreau once spent a whole day in Walden Pond up to his neck in the water. His idea was to see and experience the world as a frog sees it. But Thoreau did not become a frog! "Sesame Street" is closer to the Christmas story. They had a skit one time of the old fairy tale where the beautiful princess kisses an ugly frog and the frog becomes a handsome prince. In the Sesame Street telling, however, the princess kissed the frog, whereupon she turned into a frog herself. That is closer to what we celebrate at Christmas. God did not swoop down and survey the human situation from a safe distance. God emptied himself. He lay aside his celestial robes to don the simple raiment of a man. Divinity clothed itself with dust. Pastor William Carter said that on his Christmas vacation on his first year in college, he had become an expert on the birds and the bees. Biology was his major, and after a semester in the freshman class, he was certain that he knew more biology than most adults did in his hometown ... including his minister. A few days before Christmas, he stopped in to see him. He received him warmly and asked how he had fared in his first semester. "Okay," he replied, avoiding the subject of his mediocre grades. But then he told his pastor, "I've come home with some questions." "Really?" the pastor replied. "Like what?" "Like the virgin birth. I've taken a lot of biology, as you know," which meant one semester in which he received a B-, "and I think this whole business of a virgin birth doesn't make much sense to me. It doesn't fit with what I have learned in biology class." "There had to be a father," he announced. "Either it was Joseph or somebody else." His pastor looked at him with a coy smile and said, "How can you be so sure?" "Oh, come on," he said. "That's not the way it works. There had to be a father." His pastor didn't back down. Instead he said something that Carter said he'll never forget: "So - why not God?" Why not, indeed? The more we learn, the harder it is to swallow a lot of things that once seemed so palatable. Advent is a season of wonder and mystery. We tell our children stories at this time of year that we would never dare tell when it is warmer and there is more sunlight. The really wise child is the kid who knows how to shut his mouth even when he has a few doubts. But sometimes it is hard to do, especially when you have a whole four months of college behind you. Consider the story of one young man. Sick and puny as a baby, he remained frail and delicate all his days. Later, as a pastor, his maladies were so severe that he could not serve his growing congregation. Instead he wrote them letters filled with hope and good cheer. Even though his body was frail his spirit soared. He complained once about the harsh and uncouth hymn texts of his day. Someone challenged him to write a better one. He did. He wrote over 600 hymns , mostly hymns of praise. When his health finally broke in 1748 he left one of the most remarkable collections of hymns that the world has ever known. His name? Isaac Watts. His contribution to the Christmas season? Probably the most sung of all the Christmas hymns, "Joy to the World; the Lord is come." Could Isaac Watts have written so, if his life had been easy? I don't know. It is amazing, though, how often persons who have everything are spiritual zeroes, whereas those who struggle through life have souls with both depth and height. A little girl, dressed as an angel, in a Christmas pageant was told to come down the center aisle. The child asked, "Do you want me to walk or fly?" You feel as though she almost could have flown. Don't ever lose the wonder and mystery of Christmas. Every year I'm reminded of those words of the late Peter Marshall: "When Christmas doesn't make your heart swell up until it nearly bursts and fill your eyes with tears and make you all soft and warm inside then you will know that something inside of you is dead." James T. Garrett, God's Gift, CSS Publishing Company. Perhaps we need Santa at Christmas to help us be merry and joyous because we have a flawed understanding of Jesus. From today's gospel text we learn that the first reaction to Jesus' presence on earth, of God-in-our-midst, was joy. Joy so tremendous, joy so utterly overwhelming that it must somehow escape the bounds of earth itself and jump towards the heavens. We will not understand God until we understand this about him: "God is the happiest being in the universe" (G. K. Chesterton). God knows sorrow. Jesus is remembered, among other things, as a 'man of sorrows, and acquainted with grief.' But the sorrow of God, like the anger of God, is his temporary response to a fallen world. That sorrow will be banished forever from his heart on the day the world is set right. Joy is God's basic character. God is the happiest being in the universe. Joy is what makes Christmas. Each of us may look to some annual family tradition to trigger that joy. But the trees, the carols, the cookies, the presents, the parties, are only various expressions of a single experience of the spirit JOY born again into our souls. "The Christmas spirit comes on me more slowly than it used to," writes Joan Mills, a mother of three children, in her book Christmas Coming. "But it comes, it comes. Middle-aged (most of the time) and jaded (some of the time), I complain of plastic sentiment, days too brief, bones too weary. Scrooge stands at my elbow muttering, "Bah!" and "Humbug!" as I total the bills. But when I acknowledge the child I once was (and still am, somewhere within), the spirit of Christmas irresistibly descends." "For Christmas is truly for children those we have, and those we have been ourselves. It is the keeping-place for memories of our age in lovely ritual and simplicities. "I'm tired," I say fretfully. "There's just too much to do! Must we make so much of Christmas?" "Yes!" they say flatly. "But bayberry, pine and cinnamon scent the shadowed room. Snow lies in quiet beauty outside. I hear someone downstairs turning on the tree lights while another admires. I lie very still in the dark. From the church in the village on the far side of the woods, carillon notes fall faint and sweet on winter clear air. "Silent night," my heart repeats softly. Holy night. All is calm All is bright. "As I take the stairs lightly going down, no bones weary now, my whole self is thankful; once again, I am flooded with the certainty (call it faith) that there's goodness in the world, and love endures." Sam Levenson tells a wonderful story about the birth of his first child. The first night home the baby would not stop crying. His wife frantically flipped through the pages of Dr. Spock to find out why babies cry and what to do about it. Since Spock's book is rather long, the baby cried a long time. Grandma was in the house, but since she had not read the books on childrearing, she was not consulted. The baby continued to cry. Finally, Grandma could be silent no longer. "Put down the book," she told her children, "and pick up the baby." Perhaps, as a final preparation for Christmas, we can spend a few moments reflecting on the great Gift God has given us and focus on the gratitude we owe Him. The great gift of Christmas, of course, is the gift of His Son. The Christian existentialist Soren Kierkegaard told a parable to help explain this gift. Once upon a time there was a king who was rich and powerful. The King was very unhappy, though. He wanted a wife to be his queen. Now a political marriage could easily have been arranged with another country but that is not what the King wanted. He wanted someone whom he could love and who could love him. Only real love could fill his vast, empty castle and life. One day the King was riding through the streets of a small village kin a remote corner of the kingdom when he came upon the most beautiful girl he had ever seen. He immediately fell in love with her. But there was a problem: she was a peasant girl, and he wanted to win her love, not buy her love. One of his counsellors told him to just command her to be his wife. Any girl, especially a peasant girl, would jump at the opportunity. But the King would not do that. He could not command love. Besides, for the rest of his life he would wonder if she was a loving wife or a loyal subject. Another counsellor told the king to that he should call on the girl as her King, shower her with presents of diamonds and gold and silk gowns, and give her the opportunity to realize that he truly loved her. But the King would not do that. For the rest of his life he would wonder if she loved him or his wealth. A third counsellor told the king to dress as a peasant so she would not be overwhelmed, and gradually reveal his power and position until she was ready to join him in the castle. The king did not like the thought of deceiving her. If their relationship was based on deception, how could she ever love him? A little girl was walking along a beach covered with thousands of starfish left dying by the receding tide. Seeking to help, she started picking up the dying starfish and tossing them back into the ocean. A man who watched her with amusement, said, “Little girl, there are hundreds of starfish on the beach. You cannot make a difference by putting a few of them back into the sea.” Discouraged, she began to walk away. Suddenly, she turned around, picked up another starfish, and tossed it into the sea. Turning to the man, she smiled and said, “At least I made a difference to that one!” Today’s gospel tells us how Mary, a village girl carrying Jesus in her womb, made a difference in the lives of her cousin Elizabeth and of the child in her womb. The child John, as he grew up, helped Mary’s Son to transform the history of mankind by preparing the way for the Messiah. The starfish story suggests that each person, no matter how unimportant, may truly benefit from our work, and that any service, however small, is valuable. The story also shows how seemingly hopeless problems can be solved by taking the first step. Composer and performer Bradley James has set Mother Teresa of Calcutta’s teachings and prayers to music in the internationally acclaimed recording, Gift of Love: Music to the Words and Prayers of Mother Teresa. Bradley remembers her teaching: “Mother said we don’t have to go to Calcutta to help the poor; rather, we must help them right in front of us.” He applied this lesson when he encountered a homeless beggar on the streets of San Francisco. Bradley placed some money in his metal cup, then reached out and shook the man’s hand. The recipient gave him a big smile, and the two exchanged names and small talk. Bradley recalls: “Then he pulled me a little closer and said, ‘Thanks for the money, but what I really needed was a handshake’” (Cf. Susan Conroy, Our Sunday Visitor, Oct. 19, 2003, p. 17). Indeed, what was remarkable in this incident was not the coin, but the gift of human dignity and the love of Christ that Bradley James brought to the beggar through the handshake and his fraternal presence. In effect, Bradley replicated in his life and experience the joyful mystery of the Lord’s visitation (cf. Lk 1:39-45) described in today’s gospel. The preacher and his pregnant wife had left for a conference in France, forgetting to give instructions for the banner which was to decorate the hall at the Christmas Carol Concert, the following weekend. The parish secretary was astonished to receive a telegram from France which read simply: UNTO US A SON IS BORN. NINE FEET LONG AND TWO FEET WIDE. REV. AND MRS. JOHNSON. A woman went to the Post Office to buy stamps for her Christmas cards. "What denomination?" asked the clerk? "Oh, good Heavens! Have we come to this?" said the woman. "Well, give me 20 Catholic stamps for me and 20 Baptist stamps for my husband." As a role model for our final preparation we now focus on Mary whose role in salvation history is already faintly outlined in the Old Testament. In today’s first reading the Prophet Micah foretells that a descendant of David will appear in Ephratha where Bethlehem, the city of David is situated. Ephratha is a small almost unknown city but God chooses the unknown and the small to make his presence felt in our midst. We would think of God coming in greatness and magnificence, but God chooses the small, the insignificant to enter our history and our world. 15. The God of small things! Little Anita has a very busy father. He is a dot-com engineer who makes a lot of money but has little time to be with his family. Every night, however, Anita insists that her father read a story before she would go to sleep. This continued for some time till the man found a ‘solution’. He bought Anita a colourful kid’s tape player and made a tape of her favorite stories in the story book. Whenever, therefore, the child asks him to read her a story he would simply push the button and play back the tape-recorded stories. Anita took that for a few days and then revolted and refused to accept the stories on tape. “Why” asked her father, “the tape reads the stories as good as I do!” “Ya,” replied the little girl, “But I can’t sit on his lap.” –Remember, Christmas celebrates the gift of God’s presence in our lives. Let us be present to the people who need us –especially the little ones. The Gospel narrates the story of two marvelous women who reach out to each other and share their experience of expectantly waiting for the birth of their children. They are heralds of the Good news for each other and prophets of hope. When Mary received the good news she could not keep it to herself, she journeys to her cousin Elizabeth. She does not wait for her cousin to come to her, rather, she journeys in faith to meet Elizabeth and be with her in her need. Good news has to be shared; especially the Good News of God’s coming. As Mary enters Zachariah’s house Elizabeth greets her; “Blessed are you among women, and blessed is the fruit of your womb!” Mary had gone to support Elizabeth who was advanced in years, but she herself received support far beyond her imagining. As soon as Mary entered Elizabeth’s house, the child in her womb leaped for joy. Elizabeth acknowledges not only her kinswoman but also the mother of her Lord. Elizabeth blesses Mary for her faith in believing and accepting God’s word. “Blessed is she who believed that there would be a fulfillment of what was spoken to her by the Lord!” Three times in this small passage Elizabeth addresses Mary as ‘blessed’. Mary is richly blessed because of her faith in, and obedience to God. God asked of Mary only this, “Trust me.” And she did. Totally! That is why the Gospel writer Luke sees in Mary a perfect disciple. Mary listened and Mary did. That is why in our Christian tradition Mary is seen as the woman of faith and our model. The best way we can prepare for the coming of Jesus into our world is listening and acting in faith. “Be it done unto me according to your word!” Our faith is seen most in our attitudes in all our activities even the smallest of actions. One day a lady who lived in town looked out of her window and saw a big truck pull up to her house. Out jumped five rascals and started unloading electric guitars and loudspeakers and drums…. They took them to the neighbour’s house. The woman was furious. Now her night’s rest and her ears and her life would be ruined by all the noise that would come from the house. Her husband came home from work and she began to scream at him, “We’ve got to move away from here or else we’ll go deaf and mad with that string band next door. But he calmed her down a bit and said, “Honey, why are you angry? Don’t you realize who those musicians are? They are the famous Sanguma String band that plays overseas to large crowds…. Woman, we should be glad they are here; we’ll be getting all this famous music for free.” His wife’s frown turned to a smile. She ran to the telephone and began to call her friends to come over sometime and take advantage of the Sanguma Band…. How attitude changes everything! Our attitude to Jesus too can change everything! Thirty-year old Nishant was so taciturn and sensitive that after seven years of courtship, Neela, his girlfriend, felt that he was never going to propose to her and that she would have to take the initiative. While they were sitting alone besides the sea, Neela said, “Nishant, will you marry me?” A long silence ensued. Then Nishant whispered, “yes”. Another long silence. Finally Neela said, “Say something Nishant, why don’t you say something?” Nishant replied, “I’m afraid I’ve said too much already!” Saying ‘yes’ is never easy. 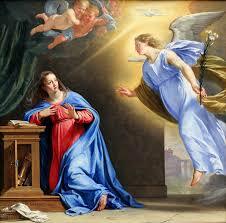 -But, when it came to obeying God’s will in her life, Mary always said “Yes!” loud and clear. 18. To love is to serve! The country doctor Brunoy had just said goodbye to his colleagues who had confirmed that Jean, the doctor’s only son, would die in a few hours of diphtheria. The anti toxin injections had been too late. As he now sat with his wife by the boy’s bedside awaiting the child’s death the doorbell rang. The doctor shouted to his secretary, “I don’t want to see anyone.” But the visitor would not go away. It was the farmer Rivaz who had walked 10 kilometres from Roseland. His son was sick. “I’ll come tomorrow” the doctor told him. “But if you don’t come now, he won’t make it through the night,” the farmer insisted. They began a discussion. “You can cure my son.” “But mine’s lost, he’s beyond all cure.” “But mine isn’t.” “Well, I’ll come tomorrow morning.” “Then it will be too late.” “Let me close the eyes of my dying child.” “But if you cannot help him any longer.” “As long as my son is alive, I’ll remain with him.” “All right, then both the children will die.” The doctor then asked for the symptom’s of the boy’s sickness and they were the same as his son’s had been. But it was still not too late to save him. So the doctor decided to go with the farmer. In his book Beyond East and West John Wu has a fascinating passage. It reads as follows: “My wife and I had never seen each other before marriage. Both of us were brought up in the old Chinese way. It was our parents who engaged us to each other, when we were barely six years of age. In my early teens I came to know where her house was. I had an intense desire to have a glimpse of her. In coming back from school, I sometimes took a roundabout way so as to pass by the door of her house… but I never had the good fortune to see her.” Wu goes on to say that he realizes the old Chinese marriage sounds incredible to Western readers. Some of his own Western friends could hardly believe it at first. Wu says he was surprised his friends found the system so incredible. He asked them whether they chose their parents, brothers and sisters. Then he said, “And don’t you love them just the same?” John Wu’s passage from his book helps us to appreciate better the relationship between Mary and Elizabeth before Jesus’ birth. Faith makes the difference! I was ordained a priest at the age of 41. At my first Mass, I had a song that was sung at two different parts of the Mass, and it was actually printed twice in the Mass leaflet for the occasion. It had a personal importance to me, and I needed to stress that fact. It was called ‘The Visit’, and it was about Mary visiting Elizabeth. ‘Be brave little mother, for the burden you bear, cause it’s Christ that you carry everywhere, everywhere.’ I thought that the image of Mary visiting Elizabeth and bringing Jesus to her, would be a wonderful model for me in my role as priest. Mary did what I would hope to do as a priest. I can use this same model for any Christian, whose role is to be a Christ-o-pher, or a Christ-bearer. On 13th July 2006, in the Deccan Herald, this heroic deed of a pregnant woman appeared. Jessica Bates was expected to give birth to twins any day, but that did not stop her from rushing to the aid of a neighbour in distress. Just before midnight on Saturday, Bates was in her living room watching her two-year old daughter and another child when she heard a cry for help. Bates, 22, rushed across the street to an apartment, where flames were visible through the window. The woman who lived there, Barbara Wellman, was paralyzed from waist down. “I knew she was in a wheelchair, and that’s why I was like, “Oh, my God,” Bates told a newspaper. She found Wellman in the front part of the house and dragged her wheelchair by the foot pedals to the sidewalk. Bates then started banging on the neighbours’ doors, warning them to flee. Another neighbour doused the flames with a garden hose before the fire department showed up to extinguish it. Wellman aged 45, had lived for twenty years in that apartment and that day she escaped without much serious injury. Thanks to the courage and love of a woman. Bates, later, said that she was always willing to help those in need. “I don’t look at it as being a hero; I just looked at it like helping someone. I knew it was a risk to myself, but I couldn’t leave her,” said Bates. – Today’s Gospel talks of another woman who reached out to an elderly woman in need! Despite the Scrooges among us who annually decry the commercialization, the crassness and the blatant sentimentality of so much of the Christmas preparations, it is still a magical time of the year. The daily popping out of multi-colored lights at doorways and windows, the Christmas tree lots that seem to spring up overnight, the magnificent window displays, the wreaths, the tinsel, the reds and greens and sound of bells--it all evokes a tone of excitement and anticipation. It is as if the entire world is preparing for a visit from an emissary from another world. Of course, like typical Americans, we overdo it. Much of the music is too loud and incessant; we are saturated with carols long before Christmas ever arrives; many of the decorations are too big, too gaudy; but still, isn't it a remarkable time of year? Our impulse to create a fairy tale stage seems to take our minds off the harsh Christmas realities. For even as we are caught up in the glitter and the tinsel we know that all is not well in the world. Fact: Murder and robbery in the United States reaches its highest peak in December. 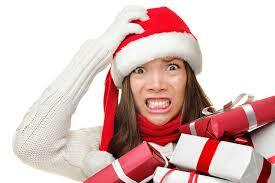 Fact: The Christmas season ranks just under Memorial Day weekend in the number of car wrecks on the highway. Fact: The suicide rate will begin its annual climb until it peaks out at what some call the "big downer" New Year's Eve. This is the reality of Christmas. No tinsel, no glitter--just harsh reality. Our text for this morning is about two women who come together to tell their stories. They are cousins, distant cousins. Elizabeth, the city cousin, Luke says, lives in the hills of Judea. Her husband, Zechariah, is the priest in the Temple. It must have been a big city to have a temple. Perhaps it was Jerusalem, and if so, then Zechariah would have been one of the priests assigned to the Temple in Jerusalem. Which would mean he was a man of some importance. It says they lived in the hills of Judea. That sounds to me like some upscale neighborhood. So Elizabeth and Zechariah were people of status and wealth and culture, sophisticated people. Mary was not. Mary was the country cousin from of all places, Nazareth, a town with a bad reputation. In past sermons I have, from time to time, tried to explain what Nazareth was like by saying, "It's like...," and then I would name a town near here and say it was like being from there, only to have someone after church one day tell me they were from that town. So I don't do that anymore. But I discovered there is a place that all San Diegans agree is a disreputable place, and that's Los Angeles. But that is where I am from. So I just want you to use your imagination and think of the most undistinguished, ignoble place that you possibly can, and that's the way Nazareth was. At least that is the reputation that Nazareth had. You can see that in reading the New Testament itself, because the rhetorical question is asked there, "Can anything good come from Nazareth?" One of my all-time favorite Christmas hymns is "O Little Town of Bethlehem." It has been around since 1868 although it wasn't formally used in churches until 1892. It is a hymn which is packed with emotion, a song about the Christ Child, born to Mary, a song filled with the creative power of God intervening in history with the gift of a savior. For me "O Little Town of Bethlehem," depicts the Christmas story as a story of hope, a story where the divine and the human come together in an amazing but humble way. It is also an invitation for both the non-believer and the believer. For the non-believer it is an announcement of what God has done and for the believer it is a challenge to increase one's faith. Brooks was a bachelor. His church organist and Sunday School superintendent, Lewis Redner was also a bachelor and Brooks gave the words to him and asked him to create a tune for the upcoming Christmas celebration. Redner procrastinated and struggled with the creation of a tune to go with the 5 stanzas that Brooks had written. It wasn't until the night before the celebration that Redner got inspired in the middle of the night and created the song as we know it. 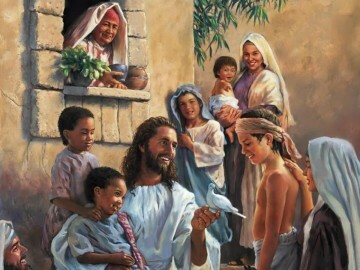 The following day a group of 36 children and 6 Sunday school teachers introduced the song created by the 2 bachelors. That was on December 27th, 1968. It wasn't published as an official hymn of the Episcopal Church until 1892. The following January, Phillips Brooks died, never knowing the magnitude of the hymn that he created. For some reason the 4th stanza has been dropped from the original score. "Where children pure and happy Pray to the blessed Child, Where misery cries out to thee, Son of the mother mild; Where charity stands watching And faith holds wide the door, The dark night wakes, the glory breaks, And Christmas comes once more." The stanza includes the line, "And faith holds wide the door." This hymn, like the story of the annunciation of Mary in the gospel of Luke, is a story about faith. What's the problem?" he asked. William G. Carter, Praying for a Whole New World, CSS Publishing Company. Consider the story of one young man. Sick and puny as a baby, he remained frail and delicate all his days. Later, as a pastor, his maladies were so severe that he could not serve his growing congregation. Instead he wrote them letters filled with hope and good cheer. Even though his body was frail his spirit soared. He complained once about the harsh and uncouth hymn texts of his day. Someone challenged him to write a better one. He did. He wrote over 600 hymns, mostly hymns of praise. When his health finally broke in 1748 he left one of the most remarkable collections of hymns that the world has ever known. His name? Isaac Watts. His contribution to the Christmas season? Probably the most sung of all the Christmas hymns, "Joy to the World; the Lord is come." Elizabeth and Mary both were selected to give birth to these very special babies because of their faith in God. They did not have affluent homes or great educational advantages. All they had was simple faith. And that's important. Happy families don't just happen. They are part of a package. Some of you young people may complain that your parents expect too much from you. They have too many rules and regulations. Maybe your parents are a little old fashioned, a little behind the times. Let me clue you in: it is these same characteristics that make you so fortunate. If they were any other way, they wouldn't put your happiness before their own, they wouldn't make sacrifices in your behalf, they wouldn't have surrounded you with love ever since you first came into the world. Because they are people of strong values, you can rest assured that they will always be there for you regardless of what may come. It's all part of a package. It has to do with a commitment that they have made - to God, to one another, and to you. The family that prays together generally does stay together, as trite as that may sound. Faith was important to Elizabeth and Mary. They trusted God. A man in the hospital is being treated for cancer. He is estranged from the Church. He has this long list of things he can name for you in his indictment. He doesn't like the Church in its present institutional form. But he is in the hospital. One day a priest walks into his room. He didn't invite him in, he just walked in. The priest asked him, "Do you want to be anointed?" That is the Catholic rite for the sick. The man said, "Yes." Then he wrote this. "Lying on my narrow, hospital bed, feeling the oil of gladness and healing, I knew I had little time. More importantly though, I felt by a wondrous grace that this was the first time in my memory that the Church was paying attention to me, individually, by name, naming me, praying for me to deal with my painful circumstances and my suffering, the suffering that is uniquely mine. All of a sudden I realized, I matter, I really matter. I still can't get over the power of this feeling of mattering, of being an irreplaceable individual." When the angel came to Mary, Mary must have said, "I matter, I really matter. I know now that I am an irreplaceable individual." Good advice. Put down the book and pick up the baby. Spend time with your children. Particularly at Christmastime. We have the mistaken notion that good parents give their children lots of things. Wrong. In a survey done of fifteen thousand schoolchildren the question was asked, "What do you think makes a happy family?" When the kids answered, they didn't list a big house, fancy cars, or new video games as the source of happiness. The most frequently given answer was "doing things together." Notice the joy with which Mary and Elizabeth greeted the news of their pregnancy.